Regardless of whether you’re a Falcons fan, a Patriots fan, or largely apathetic, there’s a good chance your TV will be tuned to the big football game this weekend, along with the rest of America’s. If you’re lucky enough to be living in a legal state, take advantage of your local cannabis laws and elevate your Super Sunday entertaining. The following strain, activity, and snack suggestions are tailored to match your level of enthusiasm. Pick the degree of engagement that’s best for you, and let us know what you’ll be up to and who you’ll be rooting for in the comments. Cheers to a super weekend! The setup: Your house is decked out from roof to lawn in red and black or red and blue, and you’re ready to take on anyone who thinks the Lombardi trophy isn’t coming home with your team this year. Your jersey’s set out to wear as soon as you leap out of bed on Sunday morning, and temporary Falcons or Patriots tattoos are likely going to be plastered to your face by the time your team takes the field. As for your cannabis setup, why should it be any less spirited? Set flower, pipes, vapes, and papers out on team-themed paper plates and pick up a few lighters that feature your team colors. If you’ll have edibles on hand, be sure they’re clearly labeled and set a bit apart from the rest of the snacks – in the heat of the game, you don’t want anyone whose eyes are on the screen to grab a medicated brownie in place of a regular one. The activity: Invite people over a few hours early and toss a football around the backyard to offset any nervous energy. 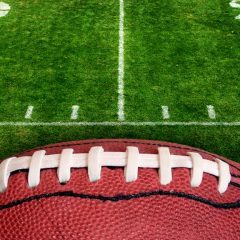 You’ll have fun channeling Matt Ryan or Tom Brady as you get psyched for kickoff, and you’ll be working off all those snacks you’re about to scarf down. The munchies: Make them themed. If you’re a Falcons fan, set out a spread of Southern comfort food – savory cornbread, hearty chicken and dumplings, and sweet and tangy Georgia peach cobbler. Wash it all down with a cold glass or two of sweet tea. If you’re a Patriots fan, spotlight New England fare – delectable lobster rolls, creamy clam chowder, and the classic dessert mainstay: Boston cream pie. The Leafly user-reviewed strains: You’ll want plenty of energy to jump around and scream at the top of your lungs every time Devonta Freeman or Julian Edelman finds the end zone. On the other hand, you don’t want to be wound so tight that any bad call by the refs sends you into a spiral of despair. Stock up on these strains that’ll let you stay actively engaged without stressing you out. The setup: You’ll be repping your chosen team’s colors, whether they’re really your home team or simply your pick for Sunday. While you may not be raking your hands through your hair and cursing over every dropped pass, you’ll definitely be keeping an eye on the teams marching up and down the field onscreen. A laid-back yet lively social gathering is the perfect place to show up with cannabis to share. Whether you bring a jar of flower or tote a vape pen along in your purse, there’s a good chance others will be happy to partake if you offer. You can even go the edibles route, and infuse the chicken wing recipe below with a bit of cannabis. The activity: Even those who aren’t agonizing over the outcome of the game wait all year for its legendary commercials – and with a bit of cannabis in your system, they’ll be particularly funny. Leave the volume on and debate your favorites at the end of the game. 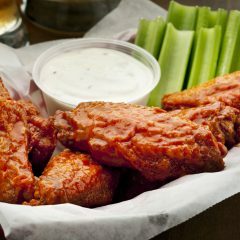 The munchies: If you’re headed to a potluck-style party, bring chicken wings – we can guarantee they’ll be embraced equally enthusiastically no matter what team people are cheering for. Our version is deliciously sweet, spicy, and infused – we also recommend making a second batch sans the cannabutter to snack on at your leisure once the munchies have kicked in. Be sure both batches are clearly labeled ahead of time and set well apart from one another once you arrive so there are no accidental mix-ups. The Leafly user-reviewed strains: The best strains for passively engaged football viewers are uplifting, euphoric ones that accentuate your enjoyment of the game. Leafly reviewers list the following as their favorites for these sorts of situations. The setup: You don’t really care much who wins the game, or how they go about it, but your Sunday afternoon is free, your couch is wide open, and football is as entertaining as anything. 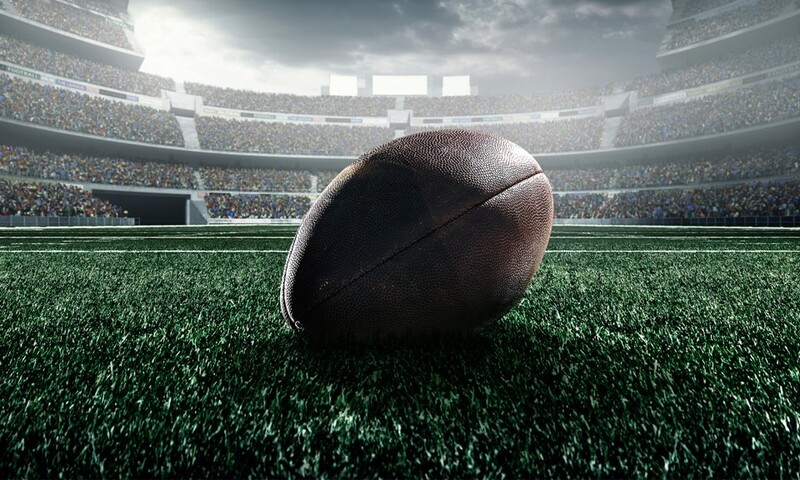 Whether you’re inclined to invite a friend or two over or simply veg solo, cannabis is the perfect way to ensure you enjoy an afternoon of touchdowns, field goals, and fumbles. We recommend donning your softest sweats, turning the TV volume down and music up, and settling in for a comfy, cozy afternoon. The activity: If you really don’t care about the action on the screen, make it fun in a different way and light up every time there’s a touchdown. You’ll stay engaged with the game, you’ll laugh at the commercials in between, and the higher the score, the higher you’ll be flying. The recipe: Guac. 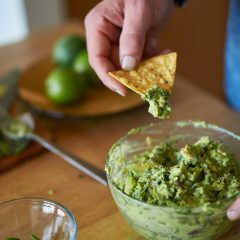 If there were a book of unwritten laws to be upheld at football viewings, “guacamole must be present” would be number one. Why not level up and infuse your guacamole with cannabis? It’s best to make this when you’re planning to be couch-locked for the afternoon anyway, because as we all know, guacamole is utterly addictive, and you might just have a few more bites than you mean to. This way, even if you overindulge a little bit, you’ll be in a chill environment and won’t feel pressured to make small talk or pay close attention to every play.